There are many peculiar and amazing places one may come across; some of them being natural while others being man made but nonetheless we usually do find stuff that amazes us and inspires us. 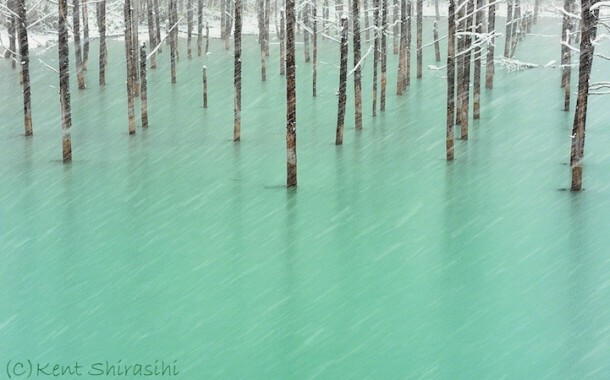 Our today’s article is about one such place in Japan which is man-made but is still amazing enough and has charmed Kent Shiraishi, a photographer. 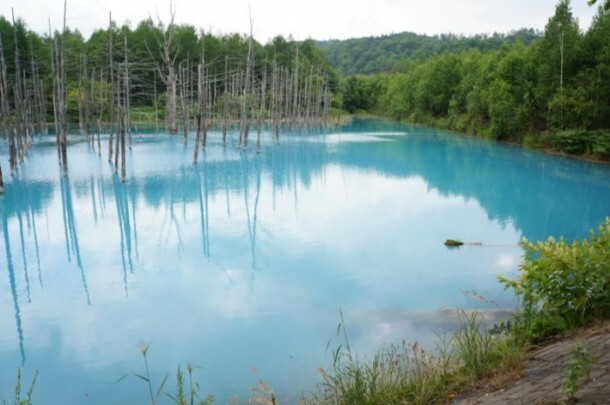 The pond is located in Bieie, Hokkaido, Japan and is famous because it changes color in accordance with the weather that it’s experiencing. 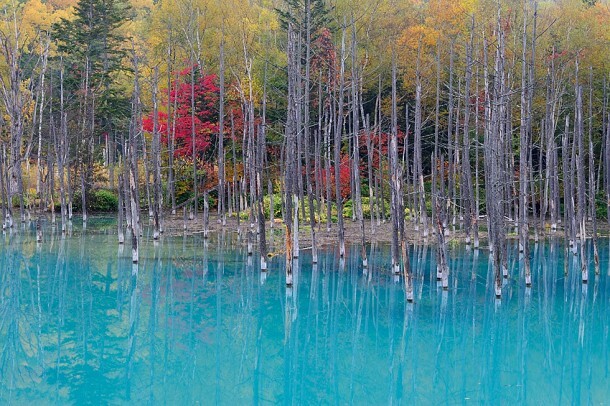 He regularly takes photograph of this amazing pond which is capable of changing colors in conjunction with the weather that it experiences. The pond is known as ‘Blue Pond’ and it provides the watchers with exquisite shades of blue and green. The shades of green and blue are breathtaking in real life and also account for great photography. 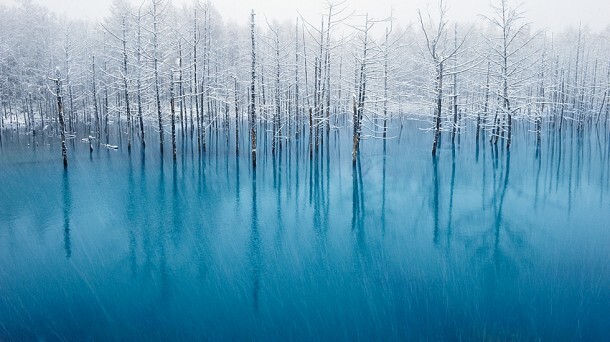 According to the amazed photographer, the pond changes color due to high amounts of aluminum hydroxide present within the water that can reflect blue light just like earth’s atmosphere. This pond was created to protect Bieie city from the damage which it might have to undergo in an event that volcano at Mount Tokachidake erupts. Let’s hope that doesn’t happen otherwise we know one photographer who will be really upset with this!